This is a one of a kind item- no other exists- anywhere ever. 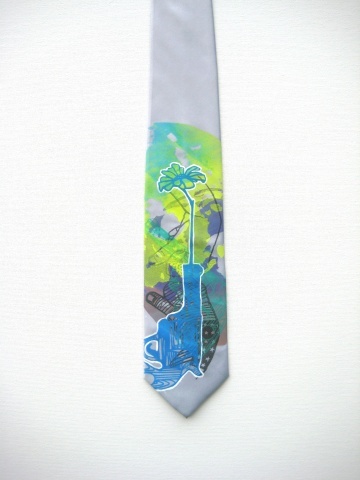 This tie contains 5 hand printings, and is topped off with a hand addition white outline to give it that pop! A few of the designs in this complex combination are printed with glow ink. I know it's too much fun!